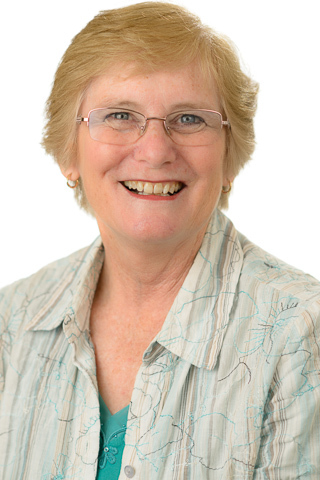 Associate Professor Anne Prescott started her career as a secondary school teacher of mathematics. She is currently the coordinator of the primary and secondary mathematics teacher education as well as the Master of Teaching (secondary). 2015-2018 Australian Mathematics and Science Partnership Program Grant $1 919 500 Maths Inside: Highlighting the role of maths in society as motivation to engage more in mathematical activities. Anne is the co-Chief investigator with Dr Mary Coupland. The aim of the project is to develop resources to demonstrate to students and their teachers the importance of mathematics and statistics in our lives, highlighting examples where the mathematics is not always visible but is available to students through the mathematics syllabus. For a number of years, Anne has been working with teachers in a remote area of Nepal, improving the pedagogy within the classroom. These schools are very close to the epicentre of the 2015 earthquake, so loss of life is devastating and the destruction of what little infrastructure existed has been massive. In 2014 Anne was awarded the UTS Human Rights Award for Social Inclusion for her work in making it possible for girls to continue their education in secondary school - she raised the money to build toilets in many schools in the area. For more information see the Sambhav Nepal website. Anne's research interests student misconceptions in mathematics, teaching practices in schools and the challenges for beginning teachers as they start their careers, STEM / STEAM education. In 2015, with Michael Cavanagh, she published "Your Professional Experience Handbook: A guide for preservice teachers" (Pearson). Mathematics education in the primary and secondary teacher education programs, professional experience. This Australian handbook presents detailed, practical advice on how preservice teachers can confidently approach professional experience placements and the work they undertake with their mentors. Kalman, R., Phegan, J. & Prescott, A.E. 2008, Maths Olympiad contest problems, Australian, APSMO, Sydney. Teachers in rural and remote schools face many challenges including those relating to distance, isolation and lack of professional development opportunities. This article examines a project where mathematics and science teachers were provided with professional development opportunities via video conferencing to help them use syllabus documents to develop their teaching programs. The study is qualitative and draws on teacher conversations and surveys using a community of inquiry theoretical framework to analyse the data. The results demonstrate that teacher professional development via video conferencing has both strengths and weaknesses but can support teachers through collaboration to develop their expertise in writing teaching programs. This paper describes the current state of knowledge of empirical studies in the broader sense dealing with inquiry-based learning (IBL) of mathematics and science subjects in schools and universities. The advantages, disadvantages, and effects on relevant outcomes that students can achieve in IBL classrooms are discussed from the aspect of further developing teaching quality. First, the conceptual aspects of IBL are considered briefly to show the background of the studies and the results are categorized. Secondly, references are given with explanations or possible reasons for the results that are not always consistent and, at times, even contradictory. Finally, conclusions from current studies including this overview are drawn with respect to open scientific questions. A pre-service teacher's Pedagogical Content Knowledge (PCK) and their personal constructs of teaching develop throughout their teacher education program. PCK integrates generic pedagogical knowledge, mathematical teaching methodology and knowledge of the discipline of mathematics and this paper reports on a survey that can be used to assess a pre-service teacher's PCK. TELPS (Teacher Education Lesson Plan Survey) was developed to determine the PCK of pre-service teachers during their teacher education program. TELPS is shown to analyse pre-service teachers' PCK with some indication that the pre-service teacher's development of PCK can be observed. Prescott, A.E. 2011, 'Student misconceptions about projectile motion', Reflections, vol. 36, no. 1, pp. 20-24. Cavanagh, M & Prescott, AE 2011, 'Ten good reasons to mentor a student teacher: Advantages for supervising mathematics teachers and their classes', Australian Mathematics Teacher, vol. 67, no. 2, pp. 6-10. The article discusses research on the early career secondary mathematics teachers in Sydney, New South Wales, with particular focus on the professional experience of student teachers. It says explores the role of supervising teachers in the knowledge and skills development of student teachers and the benefits they and students obtained from them. It states that supervisors are provided with opportunities to influence the teaching profession by supporting student teachers. This paper reports a study of three beginning secondary mathematics teachers and how their reflective practice developed during a one-year university teacher education program and concurrent professional fieldwork experience or practicum. The participants were interviewed three times during the practicum and once more in their first year of teaching, to investigate the nature and depth of their self-reflections about the practicum and their relationship with their supervising teachers. A three-stage, hierarchical model of reflective practice (Lee, 2005) was used to interpret the interview responses. Results show some improvement in the participants' ability to reflect on their teaching during the practicum, while also highlighting the importance of the practicum school context in their professional formation and professional development. The beginning teachers developed a greater capacity for reflection in their first year of teaching, but even then their responses were generally descriptive in nature rather than demonstrating critical reflection. We suggest some reasons for this. The importance of literacy and numeracy skills is paramount in most societies, their acquisition essential for communication and employment. This study set out to determine whether teachers using multiple choice assessment tasks could enhance student learning in literacy and numeracy. A software program that gave the teachers access to the results in terms of preset strands was provided to one group of teachers and the other group used the traditional techniques of looking over the students test papers. It focuses on the testing of students using standardised PAT (Progressive Achievement Test) comprehension and mathematics tests with the intervention of a software tool (AutoMarque) which is intended to expedite analysis of the results. While much research has been carried out on literacy and numeracy testing, relatively little attention has been paid to the significance of speedy feedback and analysis of results which can lead to improved pedagogy. Constructive teacher feedback following assessment tasks assists students learning and provides them with the skills they need to improve performance in subsequent assessments. This study highlighted the difficulties that time-poor teachers have in implementing new technologies despite their commitment to assessment for learning. This paper reports on research that explores internationalisation of the Universitys curriculum offerings and how this affects international students. The central focus of this paper is to highlight some of the student commentary on communication between teachers and students exemplifying the way it subsequently affects the quality of student learning. The paper concludes by raising some questions concerning how we may best meet the needs of international students by drawing on inclusive teaching philosophies. Explores the use of pattern imagery in enhancing the spatial skills of students. Discussion on the concept of spatial structuring; Relationship between numerical and spatial patterns; Tasks that may be provided by teachers to which may help students to become more attuned to the importance of pattern and structure. Traditionally, learning mathematics has often been limited to pen and paper and sometimes hands-on activities. Mobile technologies offer the opportunity to change practices within primary school mathematics classes. This chapter explores how Year 5 and 6 students worked collaboratively to solve a problem, explaining their mathematical thinking during that process. Their use of screen-casting apps such as Explain Everything and Educreations to produce 'create-alouds' helped them collaboratively understand and explain mathematical concepts. The apps also assisted teachers in being able to provide formative assessment and feedback to the students, while enhancing the 21st century skills of the students. Prescott, A.E. & Cavanagh, M. 2013, 'Roles of secondary mathematics mentor teachers during professional experience' in Bausch, I., Pinkernell, G. & Schmitt, O. (eds), Unterrrichtsentwicklung und kompetenzorientierung, WTM, Munster, Germany, pp. 245-254. Schuck and Pereira have assembled an impressive group of mathematics educators, each of whom offers new ways of thinking about the teaching and learning of mathematics as a consequence of their involvement in self-study. The catalyst for their writing was a concern to "help our students develop mathematical pedagogical content knowledge as well as subject content knowledge ... [because our] soon to be teachers of maths in primary and secondary schools need to recognise, and know how to reduce, the conceptual difficulties that often arise for school students". These authors' efforts in so doing are captured in the chapters of this book in ways that demonstrate an abiding commitment to teaching and learning about mathematics teaching that is the core business of mathematics teacher education. The outcome of a serious consideration of a self-study methodology in researching the teaching and learning of mathematics is clearly evident in each of the chapters. Each of the authors demonstrates how they had to challenge their own conceptions of mathematics teaching and learning in order to develop deeper understandings of their own practice because, ultimately, they were concerned to genuinely challenge their own students' approach to, and understanding of, mathematics. It is this focus on their students' learning that has been so important in shaping their own learning about practice and is clearly an outcome derived from a thoughtful approach to researching practice through self-study. Prescott, AE, Bausch, I & Bruder, R 2013, 'TELPS - Analysing and supporting mathematics teachers' PCK', Proceedings of Conference of the International Group for Psychology of Mathematics Education, Annual Conference of the International Group for the Psychology of Mathematics Education. Prescott, AE, Cavanagh, M, Kennedy, T & Jaccard, F 2011, 'Professional reflection and development: Mathematics teacher education lecturers and beginning teachers', MERGA, Alice Springs. Prescott, AE, Bausch, I & Bruder, R 2011, 'Personal constructs of planning mathematics lessons', Proceedings of the Annual Conference of the International Group for the Psychology of Mathematics Education, Annual Conference of the International Group for the Psychology of Mathematics Education. This paper reports on the reflective thinking of three pre-service teachers durihg a one-year teacher education program. We interviewed the participants three times during their practicum and once more in their first year of teaching to investigate the nature and depth of their self-reflections. We developed a three-stage, hierarchical model ofrej/ective practice to Interpret the interview responses. Results show slight »improvement in the participants' practicum reflections and a greater capacity for reflection In their first year ofteaching, but even then their responses were generally :gescriptive in nature. We suggest some reasons for this situation. Wenger (1998) and Lave and Wenger (1991) developed a social theory of cognition in which learning takes place as a result of ones legitimate peripheral participation in a community of practice. In this paper, we apply Lave and Wengers theory in learning to teach secondary mathematics. We report on clinical interview data concerning the practicum experiences of eight students enrolled in the Graduate Diploma in Education programs at two universities. Factors which influence the pre-service teachers classroom practice include the pedagogy of the supervising teacher, the academic ability of pupils, and concerns about classroom management. Prescott, AE & Cavanagh, M 2007, 'Pre-service secondary mathematics teachers: A community of practice'. Kearney, M, Prescott, A & Young, K 2006, 'Investigating teachers authoring their own learning designs', ASCILITE 2006 - The Australasian Society for Computers in Learning in Tertiary Education, p. 978. The 'project in progress' is situated in pre-service education and investigates prospective teachers authoring and use of their own online learning designs. Secondary and primary pre-service teachers adopted exemplary, well-researched learning strategies to inform the design of their own specific online learning tasks. (Strategies included analogical reasoning; predict-observe-explain; and 'learners' questions' approach.) The teachers then used their online tasks in the context of their teaching practicum. The web-based Learning Activity Management System (LAMS) acted as a 'test-bed' and support for their designs and implementation. This poster will report on preliminary findings from the study, focusing on key issues relating to the student teachers' professional learning. Research questions addressed in this poster are: How does this authoring and implementation process help student teachers to 'build bridges' between theory and practice in their teaching degree? To what extent do they develop their knowledge of (online and face to face) teaching and learning? To what extent is their understanding of specific learning strategies enhanced?. © 2006 Kearney, M., Prescott, A., Young, K.
Mulligan, J, Prescott, A & Mitchelmore, M 2004, 'Children's development of structure in early mathematics', proceedings of the conference of the International Group for the Psychology of Mathematics Education. A cross-sectional descriptive study of 103 Grade I students from ten Sydney schools investigated the use of mathematical and spatial structure across 30 numeracy tasks. This report describes students' levels of structural development across two key tasks on visual memory and area as emergent, partial or identifiable structure. Lower-achieving students who lacked structure in their responses did not appear to be located on the same developmental path as other students. Qualitative analysis supported the findings of Gray, Pitta and Tall (2000) and Thomas, Mulligan and Goldin (2002) - that in the abstraction of mathematical concepts these students may concentrate on idiosyncratic non-mathematical aspects of their experience. Prescott, A.E., Mitchelmore, M. & White, P. 2002, 'Student difficulties in abstracting angle concepts from physical activities with concrete materials', 25th annual conference MERGA, MERGA, Auckland, NZ, pp. 583-591.